Here is a project for a real estate agent working through JDK & Associates Realty. 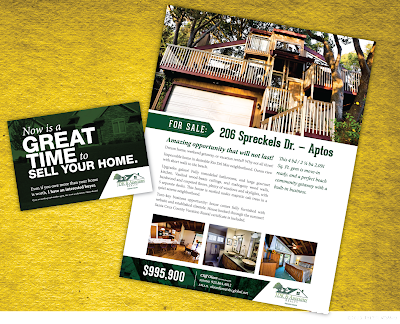 The smaller piece is a postcard mailer and the larger piece is a flyer to handout for an open house. Even though they have different purposes, they both maintain a consistent look that ties them together.